Cooking great steak is an art and one that many restaurants have yet to master. Ivanhoe Tavern has perfected our charcoal BBQ method to create meat that is packed with flavour and hot-knife-through-butter tender. We source our meat from the best local farms in Victoria, ensuring freshness and flavour, as well as supporting the local economy. We feature the best in seasonal produce from farms around the state, keeping our menu in tune with the local specialities and what is currently fresh. We have pioneered a BBQ charcoal technique that uses Mallee root to create a gorgeous char on the meat. This locks in the flavour and juices of the meat, ensuring a beautifully succulent result. Whether you like your steak rare, medium-rare, or simply pink, we cook it to perfection. We can guarantee you’ve never had a steak like this ever before and will be back in a hurry to try it again. We aren’t your usual steakhouse. We have a stylish dining room that provides comfortable ambiance, without the booth seating or wood panelled walls. Our décor is modern, without being pretentious, which makes it perfect for every occasion. Regardless of whether you’re bringing a date, having a night with friends, or celebrating a family event, our BBQ restaurant is perfect. Our staff creates an environment that is comfortable and are always ready to help your evening perfect. If you have any special requirements, whether for diet or access, please let us know and we will be happy to accommodate you. Book your table by contacting our team today. Call us on (03) 9497 2325 to speak with our helpful and friendly staff. We can answer your queries and ensure you will be well catered for when you arrive on the night. You can also fill in our contact form and we will get back to you as soon as we can. We take pride in customer satisfaction and giving people a dining experience they will remember and what to repeat time and time again. 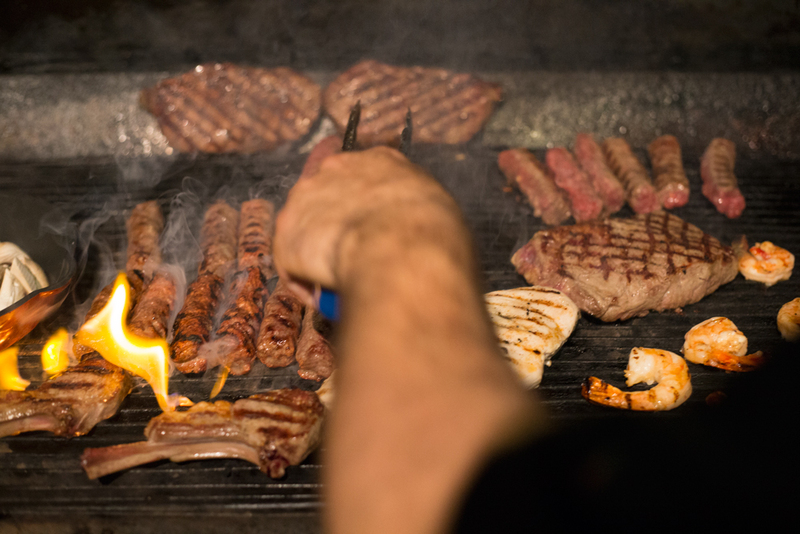 Regardless of whether you are an Ivanhoe local, or have travelled from anywhere in Melbourne or Victoria, we are committed to giving you the best possible service and our expertise in providing the regions premier BBQ restaurant experience makes us a destination that many people head to every week.